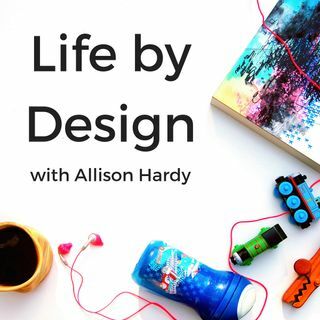 Welcome to episode #105 of the Life by Design Podcast with Allison Hardy! Today I have the pleasure of interviewing Anita Morin. Anita is a wife to an amazing man, mother to a son, and is a part-time Physician Assistant who works in Integrative Medicine. She is also a FertilityCare Practitioner Intern and a Naprotechnology Medical Consultant Intern. Additionally, she is also a work at home mama during her son’s nap time. She has been working with clients in all sorts of ways through her ... See More business: FDS Creatives. She's helped her clients with business management, content creation, editing, advising, copywriting, marketing, video editing and much more. She is passionately Catholic and this leads her to speak and write, as well as help Catholic women move their businesses forward. > Anita’s expertise may be diverse but it all serves under one umbrella: showing women how their bodies are created and so they can empowered to make informed and faith-based decisions when it comes to their medical care. > Anita wants women to know that they are created in a beautiful light by a loving God. > One of Anita’s main values is respect. When she is caring for patients as a Physician’s Assistant, as she is serving her clients as a VA helping them to broadcast their message, and as a speaker and writer sharing her message with new audiences respect is the #1 most important thing for her. > Her biggest takeaway from the Legacy Mastermind is that we are not meant to do business alone, we thrive in community and as a result of the community she experienced in the Legacy Mastermind she’s been able to find ways to plug into the LM community and pour into the other women as much as they poured into her. > Anita’s legacy is one that is inspired by St. Paul, she wants to be remembered as faithfully obedient towards God.